Win this app May 31st, 2015! Amazing Shapes Puzzle has fun and colorful puzzles that will help your child with fine motor skills, recognizing shapes, and attending to activities. This app is for children 5 and under. As the child finishes each puzzle piece, they will hear fun sounds and see exciting stars light up across the screen. After the puzzle is finished, they get to choose an additional incentive which will make it even more motivating to complete the puzzles. 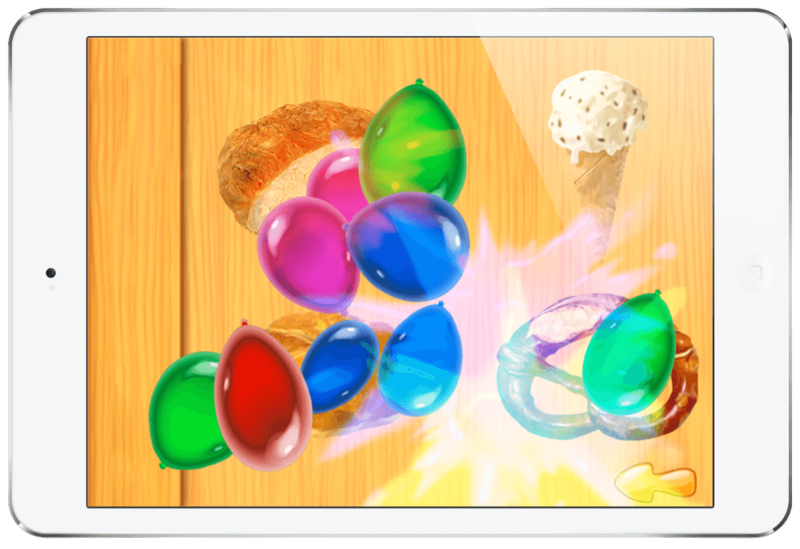 Some of the interactive incentives include: bubbles, balloons that pop, balloons that splatter, and balloons that spin. There are also premium incentives that can be unlocked including hearts, and animal shapes balloons. If you wish to test out the app before purchasing, you can purchase the free version and then upgrade later. This app was created by McPepper Games. They develop quality apps for kids that are fun and engaging. You will find a large assortment of kids apps on their website to check out. 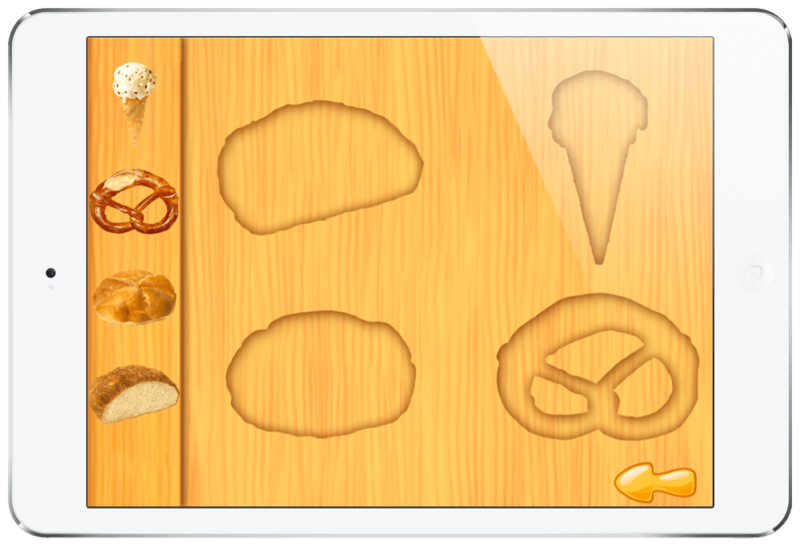 When you enter the app, you will see a lot of fun shape puzzles to choose from. The puzzles are simple and perfect for toddlers. They are not very challenging puzzles so I would not recommend this app for typical learners that are preparing for kindergarten. They are mostly for beginners. I would recommend this app to kids with fine motor delays because the shapes were easy to drag and drop and not too small or intricate. My son loved the objects in the puzzles, especially the food items. He thought those were really fun. The navigation of this app is super simple and will not be difficult to figure out. Within the settings, you can choose the language, or turn the music off. The settings menu itself is very safe and contains no third party ads or links. With that said, there are no parent controls for the settings menu so a child can still play with them. You will find a parents corner in the upper right hand corner. This does have parent controls and when unlocked, allows the parent to view the other apps created by McPepper games. It also invites you to join their social network pages, rate the app, and get support from the developers. You will find a 3rd party ad in the main puzzle menu. It asks you to solve a math problem in order to go to the ad but I wish it was found in the parents corner instead. My kids enjoyed trying to solve the problem. They did actually succeed at guessing once and it went into the app store. My kids always seem more intrigued with the ads than they do with the actual game so I always prefer as a parent to keep those third party links completely hidden. The Amazing Shapes Puzzle app is full of colorful and creative objects and shapes that the child will have fun dragging and dropping into the puzzle. This app will benefit children 1-4 years in my opinion. It also may benefit any child with a fine motor delay. It focuses on hand-eye coordination, motor skills, and attending to an activity. 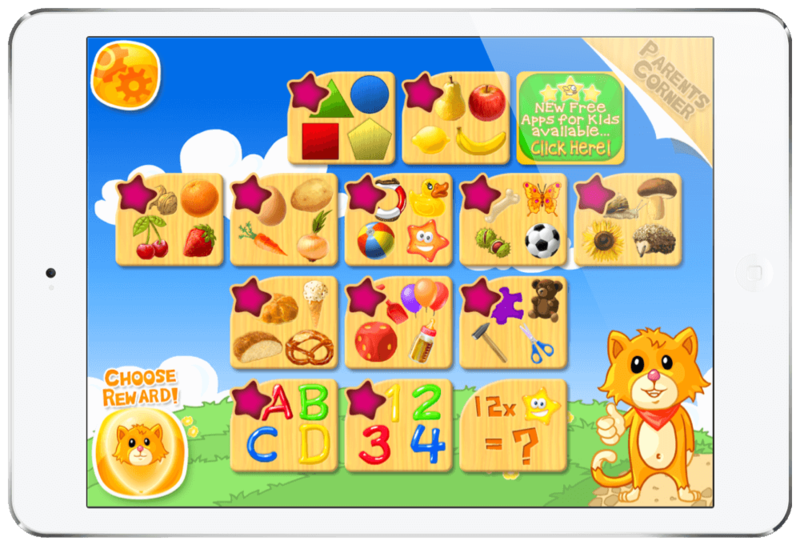 There are lots of incentives through out each puzzle that help motivate the child to continue playing. The incentives can also be helpful for children with Autism Spectrum Disorders, or ADHD. One improvement would be to remove the ads from the main puzzle menu and to add audio labeling of the items when it is clicked on. Overall I thought the app was fun and engaging. Be sure to enter the App Giveaway at the Touch Autism facebook page or purchase your Amazing Shapes Puzzle app in the App Store. At the time of writing this review, Amazing Shapes Puzzle App retailed for $2.99 but you can purchase the free version and then upgrade later. 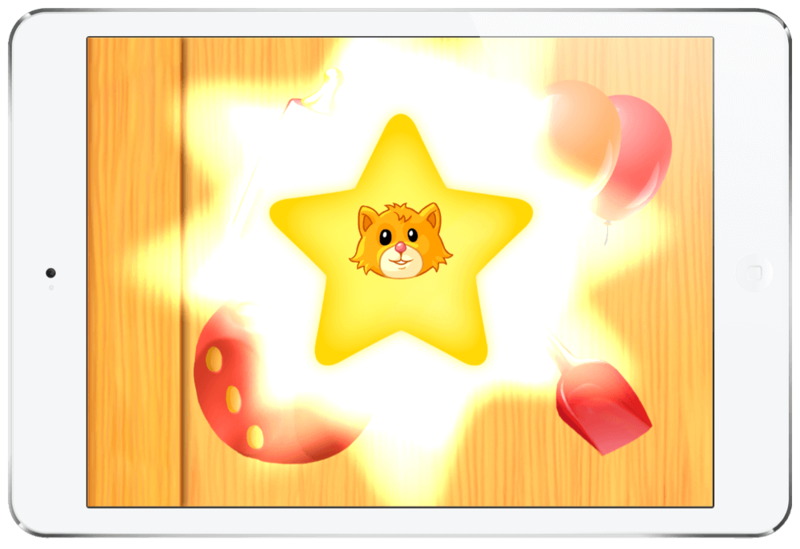 Touch Autism Facebook page for your chance to win a free copy of this fun learning app. Mcpepper Games develops quality apps for kids. They carry a lot of different learning and fun apps that are worth checking out!